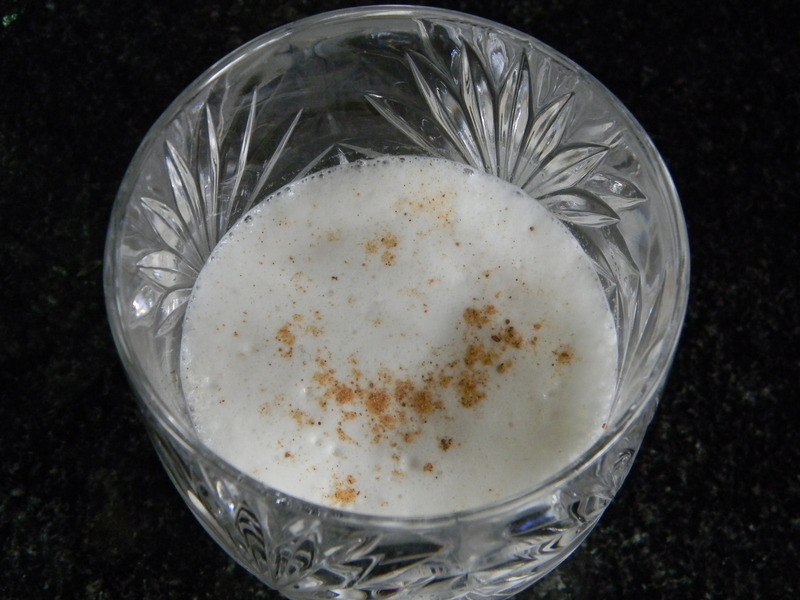 Milk Punch is the lighter, eggless version of eggnog…or, eggnog’s skinny but fun cousin. Kate’s family always has milk punch around the holidays, so she made a batch for our family this Christmas…and we’re hooked. We sat around and sipped them while we opened presents on Christmas day, and I had one of those “life is good” moments watching everyone open presents, sipping my milk punch, and listening to bluegrass Christmas music…it couldn’t have been any better. Milk punch is bourbon based, and you know we love bourbon. As with any cocktail, you can vary the ratios of each ingredient to suit your tastes – add cream or half and half to the milk, add less or more bourbon, less or more sugar, etc. Our recipe uses a blender, which is the fastest route from mixing to sipping, but other recipes I’ve seen instruct you to put the mixture in the freezer until it gets frosty-like… sounds nice, but who wants to wait that long? Whichever way you go about it, bourbon, milk, sugar, vanilla and nutmeg is a delicious combination…and it’s definitely not a Christmas-only treat in our house. Enjoy! Wow– surprised this is on the web. It was a pretty well protected family recipe!